Used as an additive to salt tanks to assist in cleaning resin beds. This is a must for bacterial iron or low sulfur applications where no iron filter is installed ahead of the water softener. 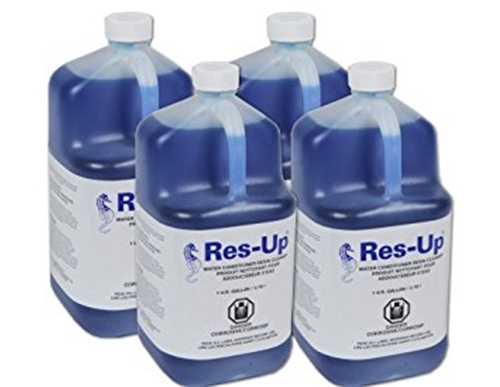 Res-Up has been around longer than Res-Care and Crystal Clean products and is more effective.